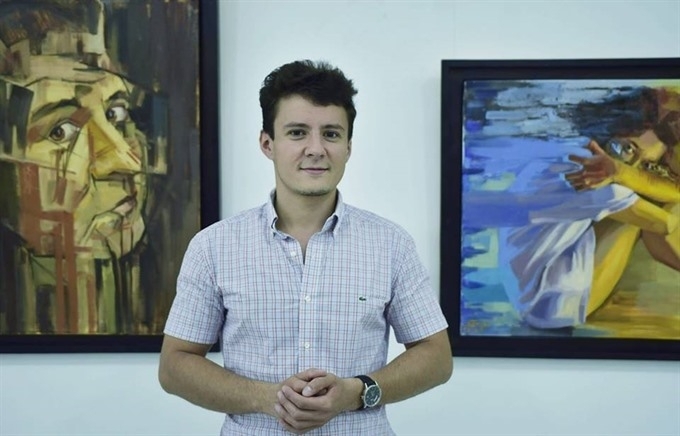 A solo art exhibition titled Focus by the Romanian painter Sergiu Moise is being held in Hà Nội, showing 30 paintings created during his last five years living in Vietnam. Moise experimented with Vietnamese traditional paining techniques such as lacquer, silk and oil on canvas. He painted images of daily life and portraits. The title of the exhibition, Focus, is the name of one of the oil on canvas works. Focus (40cm by 50cm) is about the artist’s struggles with an attention deficit, which makes it difficult to focus and organize daily activities. “Frequent mood swings and low tolerance for frustration are quite challenging when I have to sit down and work,” he said. Moise was born and grew up in Bucharest, Romania. After graduating from Bucharest’s Fine Arts high school Nicolae Tonitza, he received a scholarship and came to Vietnam to learn painting. After studying for five years at the Vietnam University of Fine Arts in Hanoi, he graduated and got his Bachelor of Fine Arts degree in 2015. 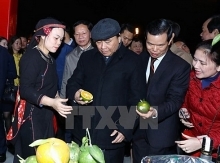 Since then he has continued living and working in Hanoi. The current exhibition is his first personal exhibition. It displays works done in the last five years in a variety of styles and techniques. “The subject of my works vary from daily life scenes, in the earlier works, to a more conceptual approach in the recent works,” he said. 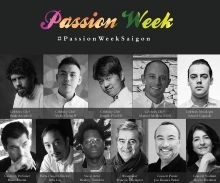 The exhibition will run until July 20 at the Vietnam University of Fine Art, 42 Yết Kiêu Street, Hanoi.